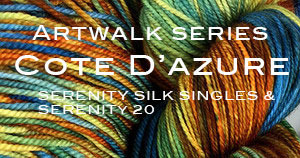 The Artwalk series is a set of custom, limited edition colorways inspired by paintings by the masters - van gogh, picasso, degas. 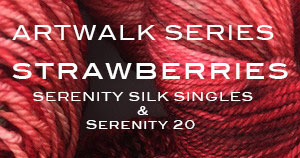 We are featuring the Artwalk series in the Serenity Silk Singles - a 1 ply superwash merino/cashmere and silk blend. 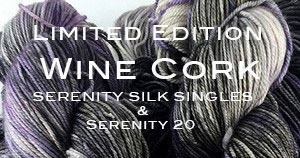 It is 430 Yards/100 Grams of the most lovely yarn you have ever seen - and the colorways are dramatic and lush. 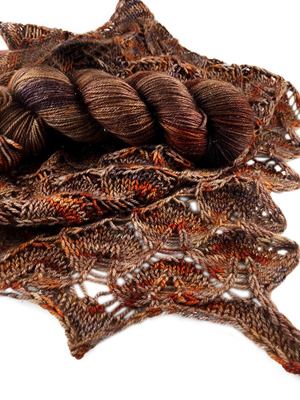 The sixteenth offering in ZYG new ART WALK Series takes it's inspiration from a painting by Vincent van Gogh entitled "Samaritan". 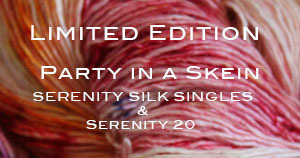 purchase and download on ravelry HERE. 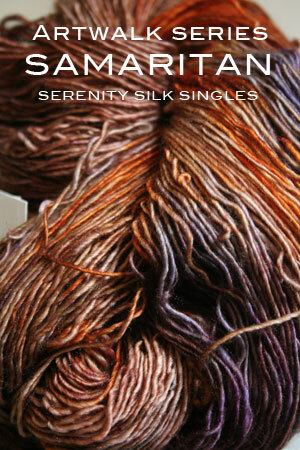 Watchet, shown at left, uses 1 skein of Serenity 20 or Serenity Silk Singles. 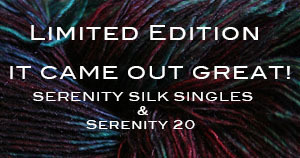 Order yours now, they won't last!